Search engine optimization is essential for the success of almost every business. A reputable SEO company is often obliged to help you achieve the goals of your business and your business in order to rank higher on giant search engines, such as Google, Bing, and Yahoo. 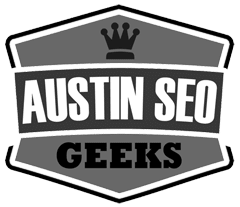 We at Austin SEO Geeks company, we have experienced SEO experts who are well conversant with fundamental web development knowledge, and are indebted to ensure your website attains the much-needed traffic. When your website attain the needed traffic, eventually it will gain exposure which is essential in attracting current and potential customers to your business. Besides, the exposure of your business will equate to the increased sales, hence accrual of higher profits. Here are top 20 SEO best tips we will provide you; we believe these are the best practices. We will help you in doing all the guest blogging such that we will help you write the best and high quality articles for the websites that are well established. This is essential in creating high quality backlinks to your website hence will increase traffic to your website that will ensure your website gains the needed visibility. Capitalizing on what works best for your competitors is essential to the achievement of the goals of your business. We will help you outrank your competitors by using SEO tools such as monitor backlinks to ensure you are updated with the current backlinks on the renowned successful websites. We will always monitor your backlinks and ensuring they are of high quality that will boost you website`s Google rankings. We will also ensure that there are no backlinks on your website that may damage the reputation of your website and business. We will help you in optimizing the images and the videos on your website ensuring they have a short loading time which will help in speeding your website`s performance. We will do advertising of your website and we will guide you on the sponsored links you can purchase. This will help in evading Google penalties on the quality websites. We will regularly monitor your website and we will ensure that it has fresh content that will match with the needs of your target customers.